Dr. Sana Farid is a pioneer ARVR Strategist in MENA, started her career as a start-up became successful entrepreneur within a short span of time. She is an avid researcher determined to use future tech solutions for societal well-being. 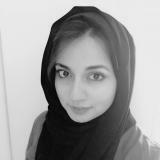 A qualified surgeon and a distinguished ambassador to women empowerment programs in the region, Sana is predominantly supporting government and non-governmental initiatives leading them to envision, strategize and streamline Ai/AR/VR based programs in various sectors including healthcare, aviation, education and public services. Her ongoing research seeking to counter malnutrition and neonatal diseases with NGOs working in 3rd world countries assisting them to develop awareness through technology aided learning & development programs. A native Arab speaker and author traveling worldwide making her contributions to improve learning experience using Ai based AR/VR programs. Sana has played a vital role to highlight needs of AR/VR adaptation in MENA. She is the board member for various forums, A Co-Founder & serving as an Executive in a leading AR/VR Education Consultancy consortium -Munfarid Consulting- based in Middle East. Check out the incredible speaker line-up to see who will be joining Sana.